2016-12-31 Brief update: Deep South Bayou Duals, Prep Slam IX, Allen "Texas Outlaw"
Altus High School of Oklahoma, a third-place winner in 2015, left the Baton Rouge River Center on Friday as the 2016 Deep South Bayou Duals champions. Altus defeated another Oklahoma team, Westmoore High School, 34-26 in the championship match. Jefferson High School of Georgia, the 2015 champions, placed third with a 42-32 win over Jesuit, albeit the match seemed closer than the 10-point difference in the score. One of the top-eight seeds after winning their "Pool" on Thursday, the Blue Jays lost to Altus 34-27. 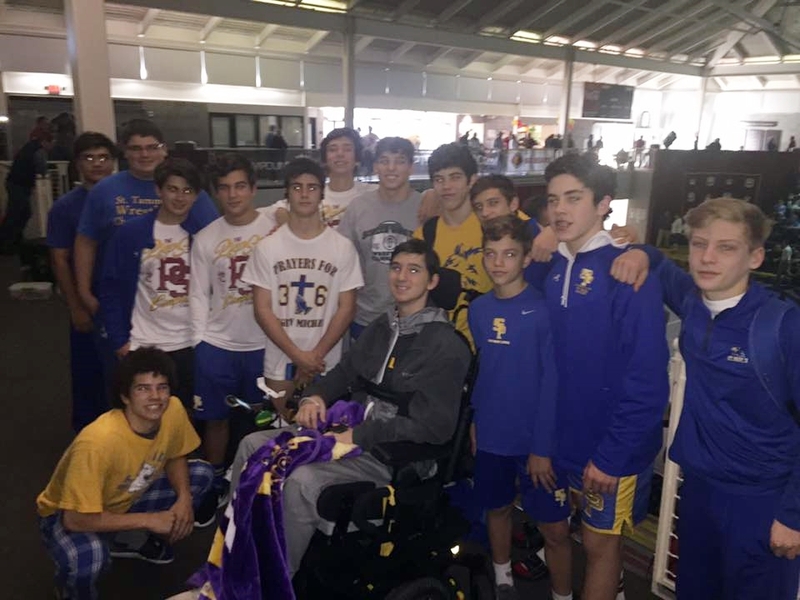 That put Jesuit in the second round of consolation duals, in which they defeated a game Belle Chasse team 54-30. Next came a 43-24 win over South Paulding High School of Georgia and then a consolation semifinals win over Jefferson City of Missouri, 30-27. Jesuit, at 4th, was the highest placing team from Louisiana. Brother Martin's "B" team placed eighth, followed by Teurlings Catholic (11th), Belle Chasse (12th), Catholic (13th), St. Amant (14th) Live Oak (18th), Brusly (20th), De la Salle (21st), East Ascension (22nd), Holy Cross "B" (23rd), Comeaux (24th), Lafayette (26th), Acadiana (28th), Fontainebleau (29th), Sulphur (30th), Shaw (31st), Zachary (36th), St. Michael the Archangel (37th), Teurlings "B" 38th, and Jesuit "B" (40th). More on the Deep South Bayou Duals will be published at a later date. TO REITERATE: Most tournaments are won in the consolation rounds. The editor was referring to a December 29th "Update" about John Curtis at the Evangel Holiday Classic last Thursday and Friday. The Patriots, who placed second to Parkway, only had one champion but still placed second. A better example would be last season's Division III team championship, won by De la Salle with not one Cavalier winning a title. 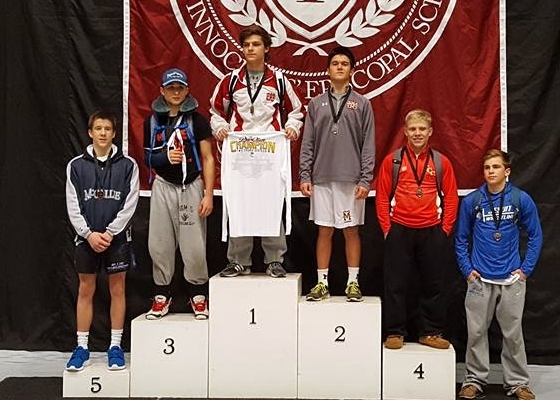 This time, it refers to Brother Martin at the Prep Slam IX in Atlanta, GA. 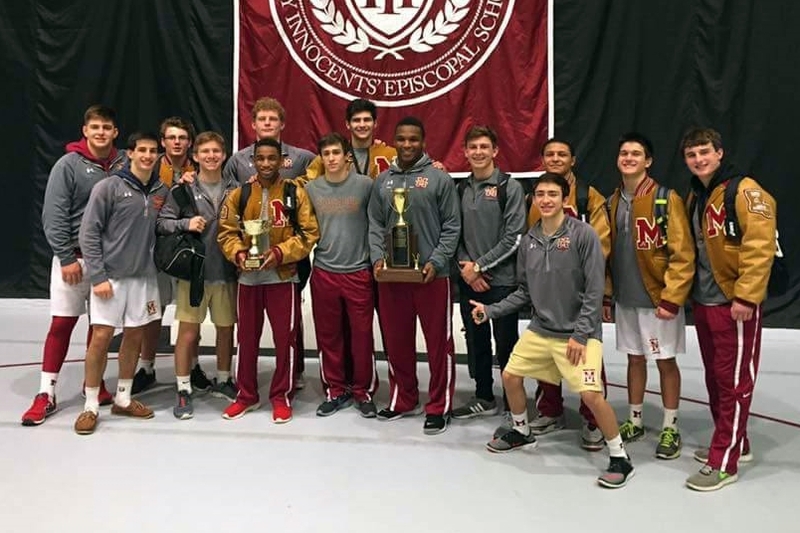 The Crusaders scored 215.5 points to beat runner-up McCallie (from Chattanooga, TN) by 27 points, but the Crusaders had no individual champions. On first glance, one might think "Well, they did have three finalists." That would be unwise. 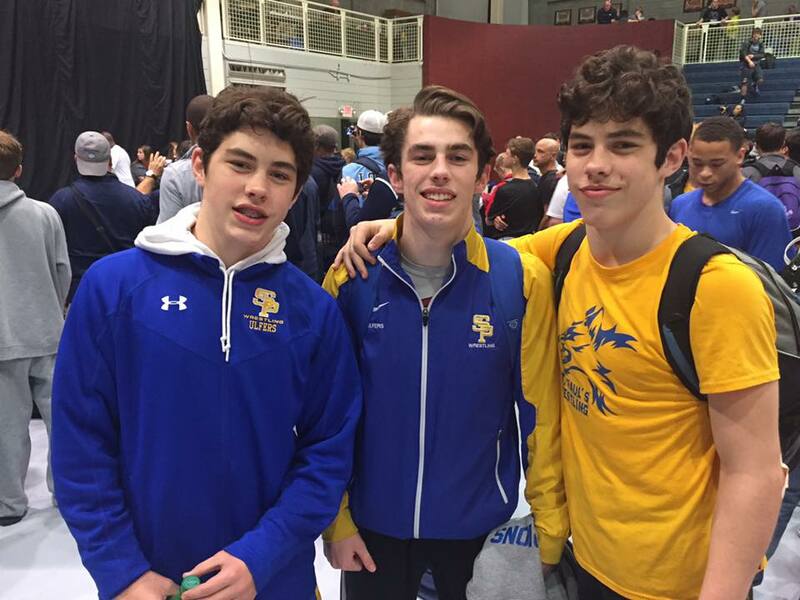 McCallie had five finalists and won three titles, but still finished second to Brother Martin. In the consolation rounds McCallie only had two wrestlers place, and both placed fifth. 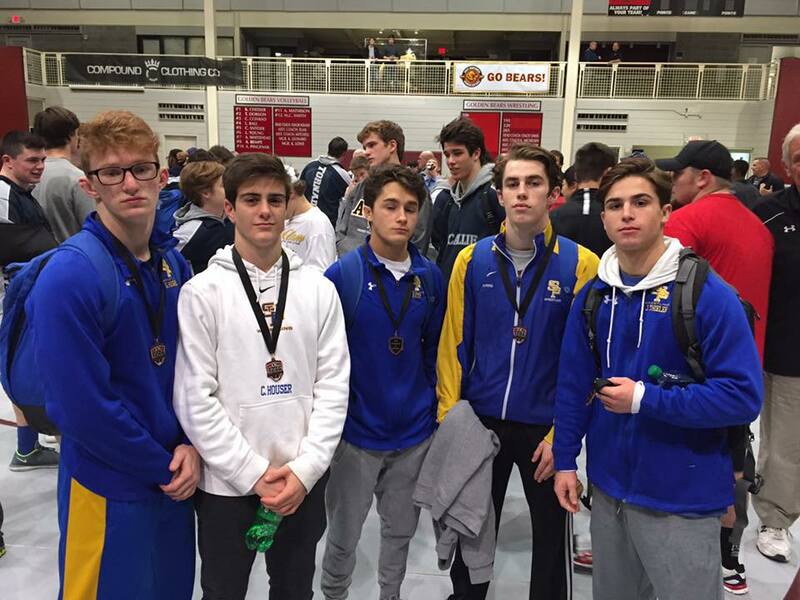 Brother Martin's five consolation placers consisted of one fifth, one fourth and three thirds. Daniel Varnado, Luke Cotton and, yes, Steven Shields, were the runners-up for Brother Martin. Varnado lost 6-0 to Blair Orr of Episcopal High School in Atlanta. Cotton lost 13-0 to Gabriel Elkins of Montgomery Bell High School of Nashville, TN. Shields lost 6-4 to Andrew Pace of Marist High School in Atlanta. 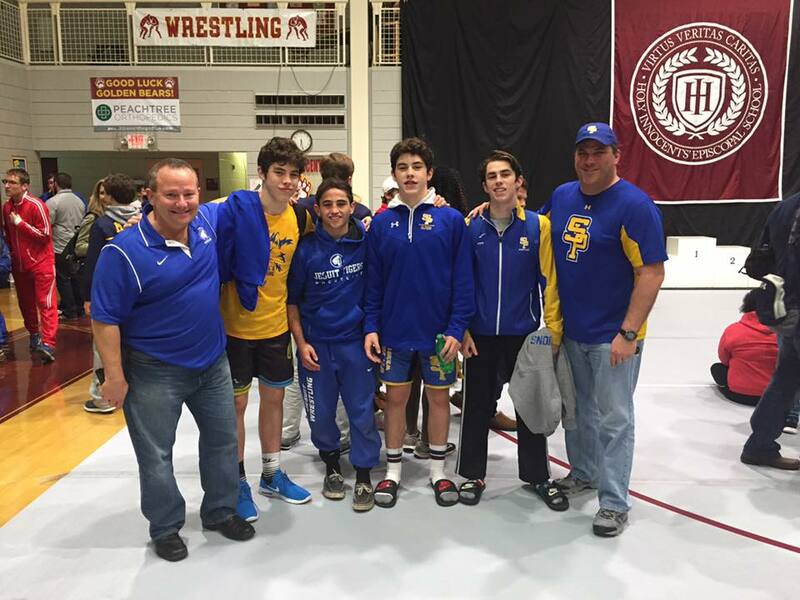 In all three of those matches, the Crusader wrestlers were seeded second behind the winners, who were all number-one seeds. 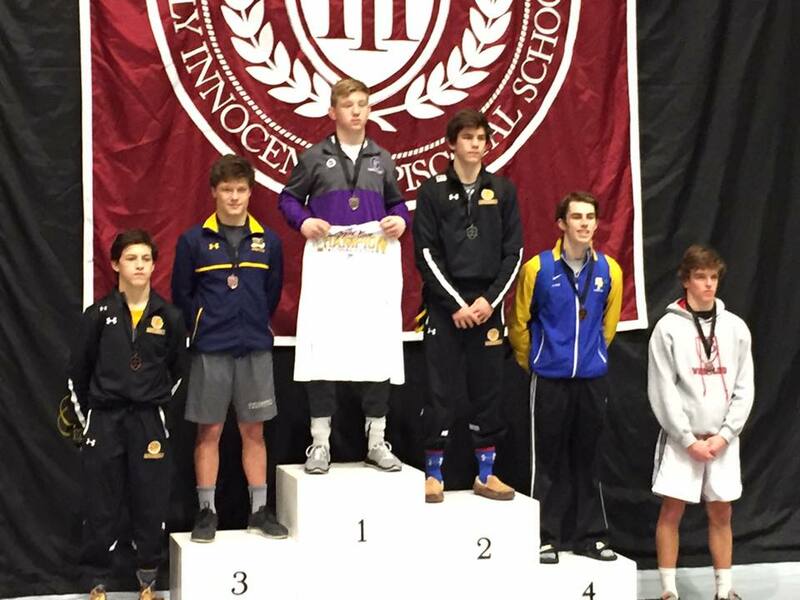 Placing third for the Crusaders were Justin Leal at 113 lbs., Nathaniel Perdue at 182 lbs. and Mack Brown at 220 lbs. Matthew Clapp placed fourth and Paul Elmer placed fifth. St. Paul's also participated in Prep Slam IX and placed ninth. Brandon Stein (113 lbs. ), Jared Thieler (132 lbs. ), Shane Ulfers (138 lbs.) and Grant Hughes (145 lbs.) placed fourth for the Wolves. Cole Houser (126 lbs.) placed fifth. 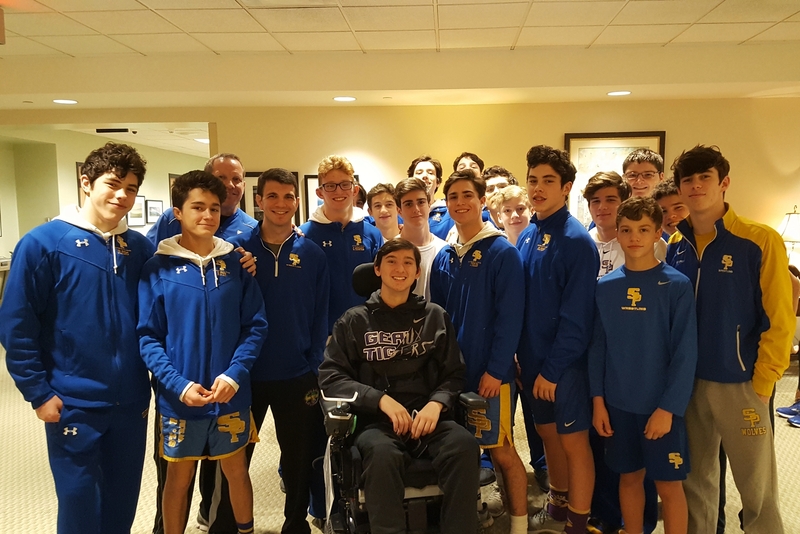 [Left] According to Wolves coach Craig Ketelsen, the highlight of the trip was a chance to twice visit junior Michael Doherty, the football defensive back who suffered a break at his C5 vertebrae and a fracture on his C4 vertebrae.¹ Doherty is recovering at the Shepherd Center in Atlanta, where the Wolves visited him first, and then Doherty surprised them by showing up at the tournament. Reported by a reliable source and confirmed by another, the tournament director for the Allen "Texas Outlaw" would not recognize the two-pound "growth allowance" expected by Airline High School of Bossier City, two teams from Oklahoma, a team from Kansas and three Texas teams, barring those teams from this year's tournament. Airline's dismay is understandable for two reasons: 1) Louisiana allows the two-pound growth allowance to come into effect on December 26th, and 2) from 2013 through the January, 2016 event, the tournament started on or after January 1st, and hence the two-pounds allowance was recognized. According to the state athletic association wrestling rules for Texas, Kansas and Oklahoma, the two-pound weight allowance starts on January 1st. Hence, the school from those states had little reason to think they would get a growth allowance at the Texas Outlaw. Technically, the tournament director's decision was correct, albeit unfortunate. If it was an option, the rebuffed teams could have participated "up" a weight class if they chose to do so. At this time, it is not known if that was a possibility. Regardless, a simple line on the tournament flyer would have saved a lot of people's time and money wasted by teams that expected the weight allowance to be recognized.